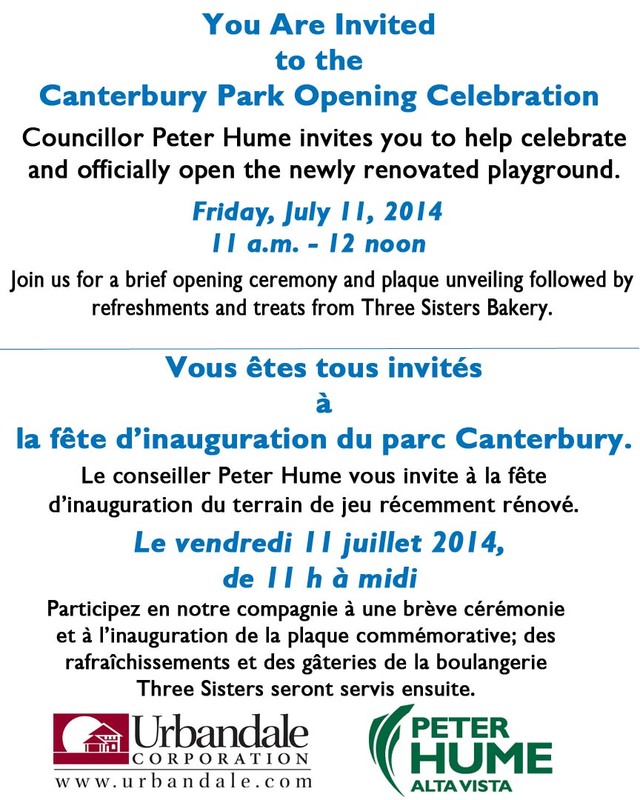 Here’s a heads up from Councillor Hume’s office regarding the newly renovated playground at Canterbury Park. Short ceremony starting at 11am this Friday, July 11. Refreshments and treats from Three Sister Bakery!! Check out the poster too!